Eric Church will be inducted into the North Carolina Music Hall of Fame October 15th in Kannapolis, North Carolina. Eric Church and Kacey Musgraves will perform at Willie Nelson’s annual 4th of July Picnic in Austin, Texas. Merle Haggard, Asleep at the Wheel and Jamey Johnson are also on the bill. Kacey Musgraves will perform at the Bonnaroo Music Festival, taking place June 11th – 14th in Manchester, Tennessee. She made her Bonnaroo debut in 2013. Billy Joel, Mumford & Sons and Kendrick Lamar are also scheduled to perform. 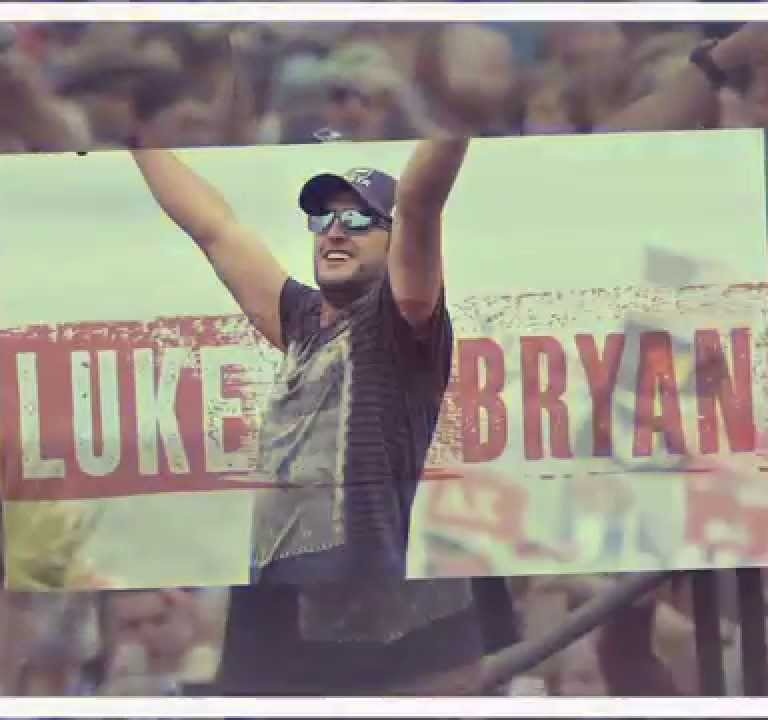 Luke Bryan will return for his second Crash My Playa Caribbean concert in Riviera Maya, Mexico January 22nd – 26th, 2016. Go to CrashMyPlaya.com. Vince Gill was recently interviewed by Dan Rather for his show, The Big Interview, on AXS-TV. His feature will air April 21st. LUKE BRYAN CELEBRATES HIS FINAL SPRING BREAK IN STYLE. 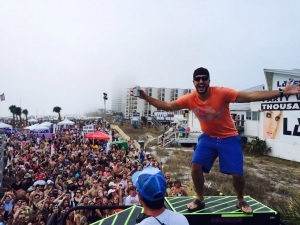 Earlier this month, Luke Bryan celebrated his final Spring Break in Panama City Beach, Florida. Check out the recap below. LUKE BRYAN BOWS AT NO. 1 WITH LATEST SPRING BREAK ALBUM. NASHVILLE, TN – (March 18, 2015) – ACM Awards Show co-host and reigning CMA Entertainer of the Year Luke Bryan debuts his final Spring Break album, Spring Break…Checkin’ Out, at #1 today on Billboard’s Country Albums Chart with sales near 89K, making it his second consecutive spring break album to debut at #1. Sales of Luke’s combined seven spring break releases now exceed 1.2 million. The album also lands at #3 on Billboard’s Top 200. Luke heads into the 50th Academy of Country Music Awards as a co-host and four nominations- Entertainer of the Year, Male Vocalist, Song of the Year (“Drink A Beer”) and Vocal Event (“This Is How We Roll”) with Florida Georgia Line. This is his third consecutive year to co-host with Blake Shelton and the show will broadcast on April 19 from AT&T Stadium in Arlington, TX on the CBS Television Network. Since the debut of his first album in 2007, Luke Bryan has placed 12 singles at No. 1 and sold 7 million albums with 27 million digital tracks from his four studio albums and has been named Entertainer of the Year for both the Academy of Country Music and the Country Music Association. Luke achieved the best touring year of his career in 2014 with 1.7 million fans attending his concerts. LUKE BRYAN’S ‘SPRING BREAK…CHECKIN’ OUT’ DEBUTS AT NO. 1 ON THE COUNTRY ALBUM CHART. 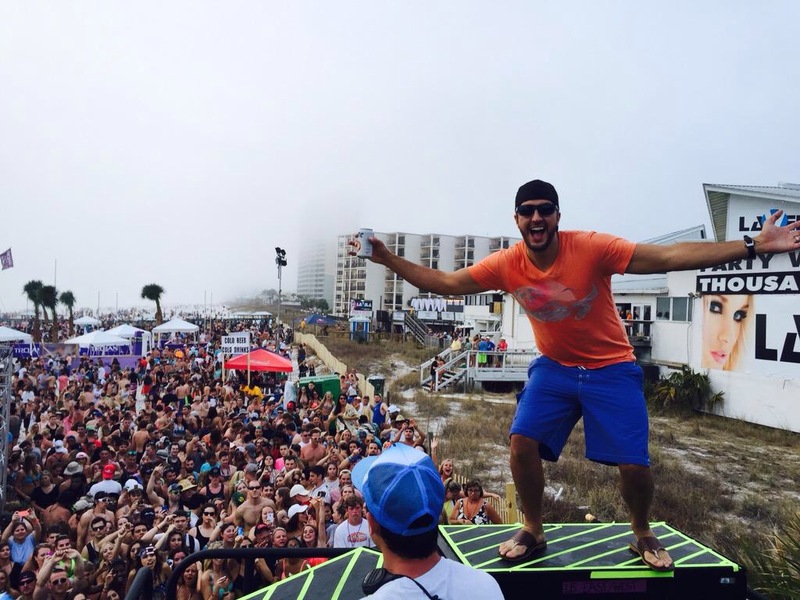 Luke Bryan’s Spring Break…Checkin’ Out album debuts at No. 1 on the Billboard Country Chart. His seventh and final Spring Break album sold nearly 89,000 copies to bow at the top of the country charts and at No. 3 overall behind Madonna and the cast soundtrack from the FOX TV show, Empire. Sam Hunt’s Montevallo is No. 2, followed by Shania Twain’s Still the One: Live From Vegas CD & DVD collection at No. 3. LUKE BRYAN AND TODAY SHOW TAKE FANS BEHIND-THE-SCENES OF HIS FINAL SPRING BREAK SHOW. Go behind-the-scenes with the Today Show as Jenna Bush shadows Luke Bryan for the day during one of his two final Spring Break shows last week. 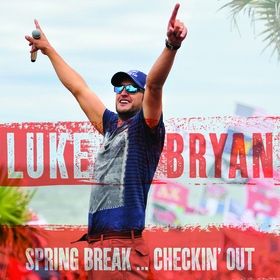 Luke is now in stores with his seventh and final Spring Break album, Checkin’ Out. LUKE BRYAN CELEBRATES FINAL SPRING BREAK SHOWS WITH MORE THAN 400,000! 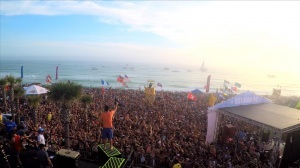 NASHVILLE, TN – (March 13, 2015) – Luke Bryan wrapped his seventh and final year of two-day Spring Break concerts at the Spinnaker Beach Club in Panama City Beach, Florida yesterday. Record breaking crowds swelled the beach area east and west of the club’s over flow and also bled to the Gulf water’s edge. Local officials estimated over 200,000 fans gathered each day. The spring break albums and concerts began in 2009 as a way to get new music out to Luke’s fans between studio releases. This year’s release, Spring Break…Checkin’ Out, is available in record stores, as well as digitally, now and contains five new songs all co-written by Luke plus all six songs from last year’s EP. Luke’s collection of all six previous Spring Break releases combined have over 1.1 million sales to date. Today’s Jenna Bush was on hand to cover the final event with a story airing this coming Monday, March 16. CMT’sHOT 20 show was also on tap with Katie Cook. Fans can tune-in to watch the fun on CMT on March 21 & 22. Since the debut of his first album in 2007, Luke Bryan has placed 12 singles at No. 1 and sold nearly 7 million albums with 27 million digital tracks from his four studio albums, and has been named Entertainer of the Year for both the Academy of Country Music and the Country Music Association. In 2014, he achieved the best touring year of his career with 1.7 million fans attending his concerts. 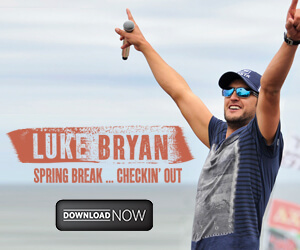 Audio / Luke Bryan talks about the title track of his new Spring Break album, Checkin’ Out. LUKE BRYAN LEAVES BEHIND A LEGACY OF FUN DURING HIS SPRING BREAK SHOWS. Luke Bryan played his final Spring Break show Thursday night (March 12th), and the legacy he will leave will be of fun. Luke covered Bruno Mars‘ “Uptown Funk” during his Wednesday show in Panama City Beach, Florida. Luke just released his seventh and final Spring Break album, Checkin’ Out. Audio / Luke Bryan talks about the legacy his Spring Break shows will leave once he’s done. 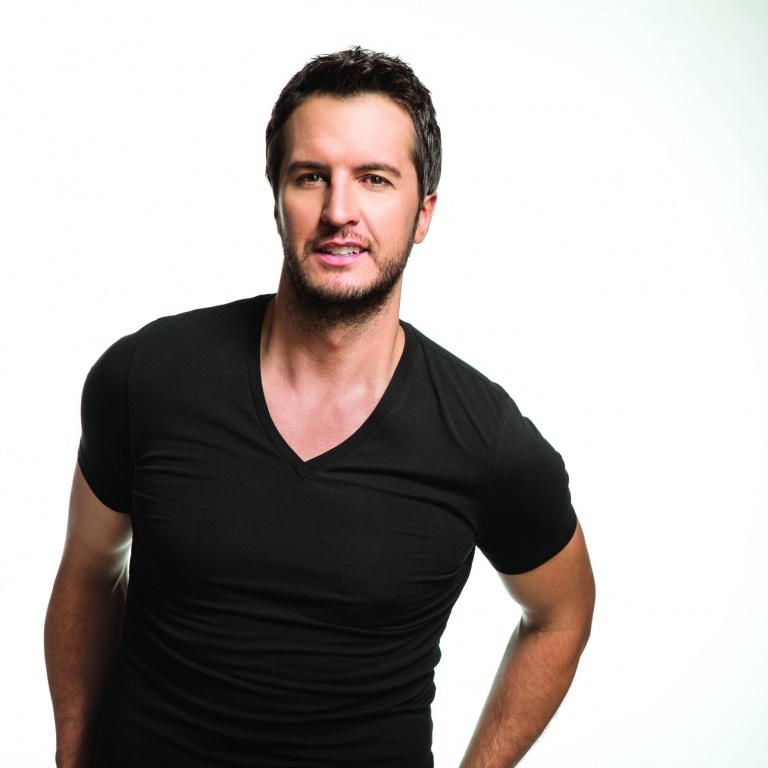 LUKE BRYAN’S HALL OF FAME EXHIBIT WILL OPEN MAY 22ND. NASHVILLE, Tenn., – March 11, 2015 – The Country Music Hall of Fame® and Museum will explore the life and career of reigning CMA Entertainer of the Year Luke Bryan with the summer exhibition Luke Bryan: Dirt Road Diary, which opens May 22nd and runs through November 8th. The exhibition will examine the singer-songwriter’s roots and rise to stardom. Since beginning his music career in the mid-2000s, Bryan has gone from co-writing songs for other artists to selling millions of records, filling concert arenas, and receiving prestigious music awards. With an emphasis on his phenomenal success in 2014, the exhibit will also look back at his life, from growing up the son of a peanut farmer in south Georgia to his poignant, leap-of-faith move to Nashville. Fans will see stage clothes, instruments, awards, photos, and other unique memorabilia from Bryan’s personal collection. “I remember bringing my parents to visit the museum and dreaming of something like this one day. Now to have an exhibit about my life that my family, friends, and fans can come and see is just so cool,” said Bryan. Since the release of his first album, in 2007, Bryan has placed 12 singles at #1 and sold millions of albums and digital tracks. He has been named Entertainer of the Year by both the Academy of Country Music and the Country Music Association. Bryan’s latest album, Crash My Party, is certified double platinum, for sales of over two million copies. The set generated six consecutive #1 singles: “That’s My Kind of Night,” “Crash My Party,” “Drink a Beer,” Play It Again,” “Roller Coaster” and “I See You.” Bryan made Billboard chart history when he became the first artist to hold the top two positions on the trade publications Country Airplay chart since it began in 1990. Bryan played to 1.7 million fans last year, and in 2015 he will perform in Europe for the first time. Yesterday, he released his final Spring Break album, Spring Break…Checkin’ Out. The Georgia native embarks in May on a new tour, the Kick the Dust Up Tour. The reigning CMA Entertainer of the Year, Bryan will co-host the 50th Academy of Country Music Awards with Blake Shelton on April 19.